Let's make Summer Schooling a challenge, shall we? 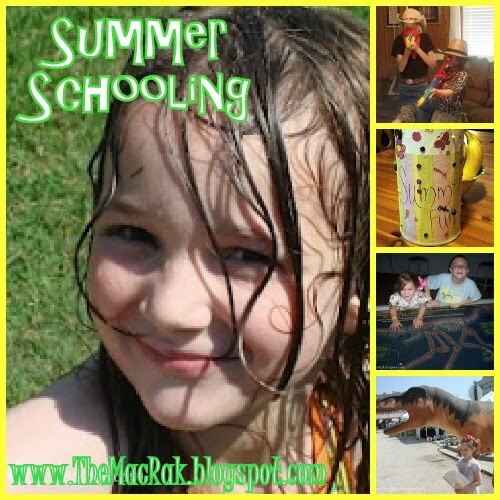 I will be posting our Summer Homeschooling Project List each week, with links to tutorials and how-to's for each project. Join in the fun by doing the same projects, or share in the comments what you are planning for the week. I would love to hear how everyone is spending their summer. Solar S'mores: This fun outdoor cooker will deliver a tasty treat and a moment to discuss the sun. Won't take anytime to cook this treat in the Texas summer sun! Rock Candy: My kids are rarely allowed the luxury of sugar, so this little science experience has a sweet ending. Independence Day Bike Decorating: Decorating our bikes for our local hometown Independence Day. Independence Day Hand Print Art: Love this simple yet adorable patriotic craft. Independence Day Hat: We will be making these to wear in our hometown Independence Day parade. Stop by and let us know what summer homeschooling fun that you have planned in your neck-of-the-woods. Tweet with us! #summerhomeschooling to get in all the fun summer homeschool learning!